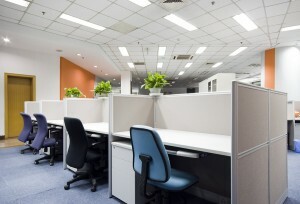 Choosing an experienced office moving company is an important part of business relocation. Whether your company is moving to another Columbia, South Carolina, location, out of state, or across the country, there are countless small details that must be addressed properly for your relocation to be a success. At Relocation Strategies Charlotte (RSI Charlotte), we take the guesswork out of the corporate moving process so your company can enjoy a smooth and seamless transition. Scheduling – Our project managers will set construction and installation schedules and make sure vendors meet their deadlines. Design – Our talented designers can help you plan a layout at your new office that is attractive and provides a smooth workflow. Transportation – We will oversee the breakdown, transport, and reassembly of your office components. Systems administration – We will work with IT professionals to ensure the fast installation of your new voice and data networks. Decommissioning – Once you have left your old Columbia, SC, office space, we will make sure it is in the condition required for it to be handed back over to the landlord. We can also assist with the purchase of any additional office furniture and equipment you might need for your new space, as well as the liquidation of old furniture that is no longer necessary. Contact RSI Charlotte today to discuss the services we provide and to find out why businesses in the Columbia, SC, area trust us as their office moving company.